The Druids didn't leave any papers about their doctrine. Therefore we don't have any knowledge about their life and their work, we can rely on. The most important references are of Greek or Roman origin. Especially roman writers describe Celts and druids to be barbarian. 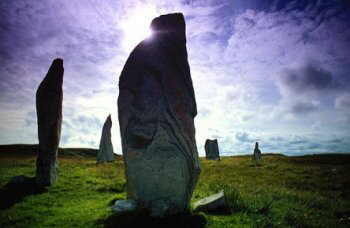 Greek references generally refer to the druids in a more respectful way. Concerning reliability of roman reports we should consider that the roman army first conquered and then destroyed the Celts and their culture.